Aesthetics: The product looks “industrial” in that you can see how the mechanism works. The mechanism is extremely detailed and finished to a high standard forming the most noticeable part of the chair. The folding mechanism has a “bone” like appearance and looks similar to the elephant’s legs in the famous Salvador Dali paintings. 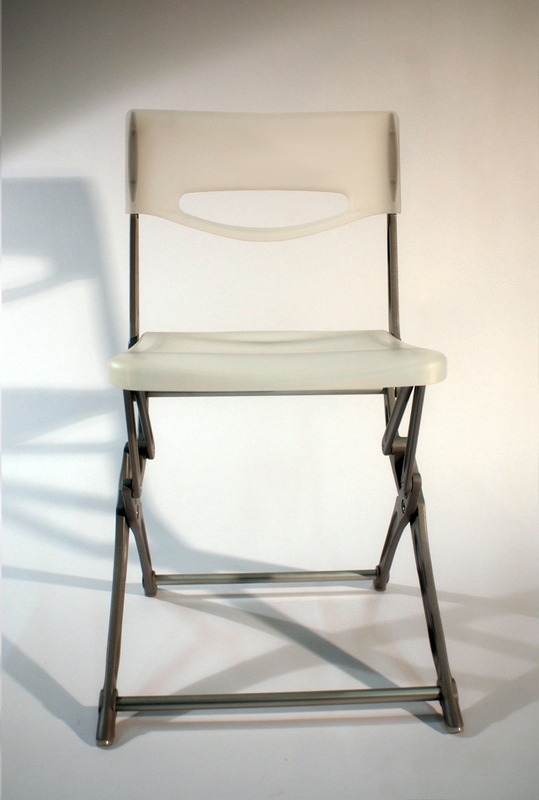 The seating area is finished in translucent plastic and is not particularly different from any other folding chair. The back rest has a handle that forms a unique little “smile” which in the right colour really stands out. Cost: The “Flip It” chair retails at £99.99. A fair price based on the overall effectiveness of the finished product, the quality feel from its superb construction, the detail within the mechanism that is essential for the proper use and longevity of the chair. The chair’s ability to stack and be stored is excellent, it is very stable and strong, easily cleaned and most importantly very comfortable, in the process encouraging the user to adopt a healthy posture. Customer: Designed for the young at heart, for the customer who appreciates the finer details. It appeals to the person who wants something different. However the customer could be an organisation that wants to use a number of these chairs, it could help communicate to others a modern feel in the organisations approach and ethos. Environment: The chair can render the environment in which it’s used far more versatile owing to the fact that it can so easily be stacked or stored. Its obvious, bold, modern appearance enhances its environment in the same way a Philip Starck Lemon squeezer makes your kitchen look altogether more classy. 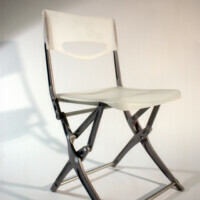 The chair in short can make a dull assembly hall look more high tech and appealing. Safety: A products safety can only be judged during normal use. Any product if used in a way not intended by the designer can be deemed unsafe. One area for inspection is the folding mechanism .The joining of each of the components that make up the legs and frame are done in such a way that there is no lateral movement or “racking” with no sharp edges or surfaces in evidence. The clever part is in the name, “FlipIT” and that is exactly what you do in order to open and close the chair, hands and fingers could not be further from the mechanism. Size: It’s not hugely different to any of the folding chairs on the market, but the company have looked very closely at the ergonomics as the “Flip IT” chair is very comfortable indeed. When folded the chair requires very little space and can be easily and neatly stacked up against other flip it chairs, taking up far less space than most existing designs. Function: All products have a primary function, in short the purpose for which they were intended; however most products have a number of further functions. 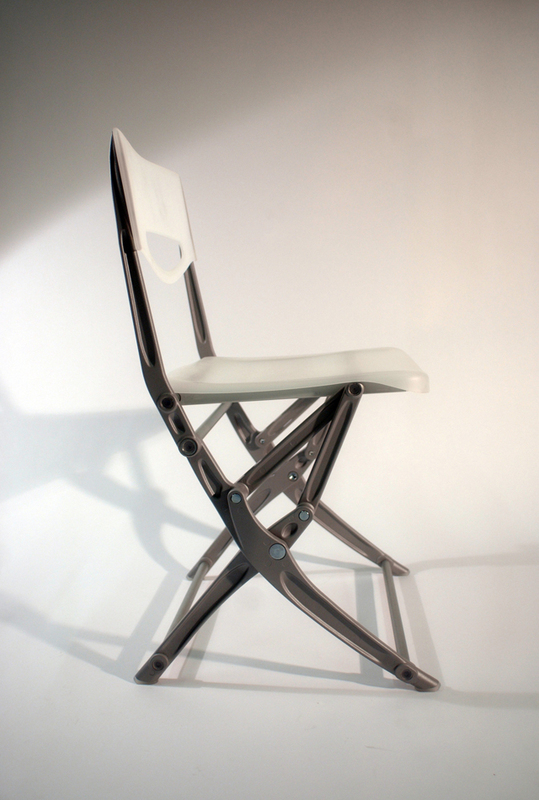 The “flip it” chair’s primary function is to provide comfortable seating for the user, which it does well. 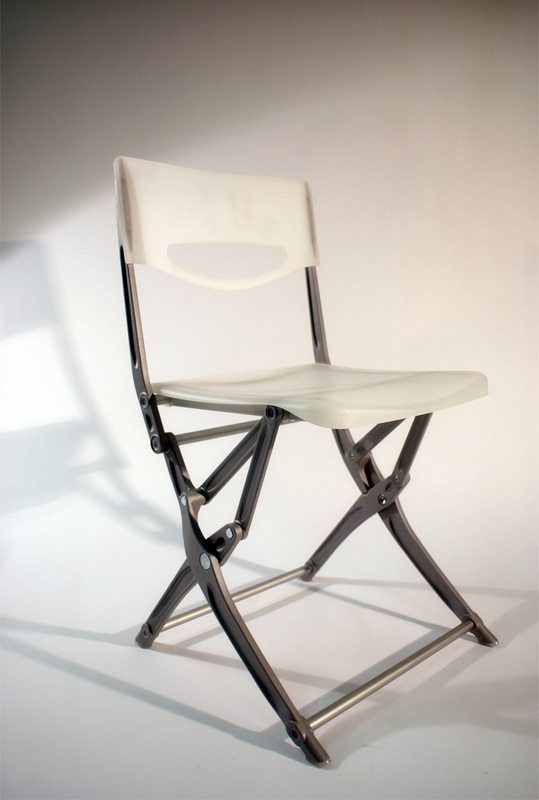 One unique function of the chair is the way in which it folds; this is achieved by flipping the product, which is extremely impressive when witnessed first hand. The chair also brightens up its environment and can say something positive about the customer who bought it. Material: The seating and backrest are made from injection moulded HDPE, high density polyethylene, a plastic that has good stiffness which suits this products function. 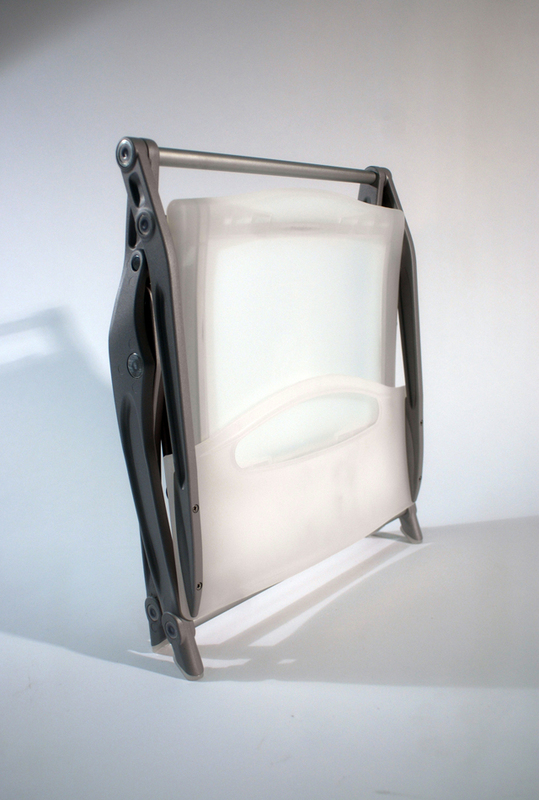 HDPE can be supplied in a range of colours and can, as in the case of the flip it chair, be produced in translucent. The frame has been cast in Aluminium to a very high standard with an attractive and durable anodised finish applied in silver. The choice of materials is in keeping with the desired function of the chair and will provide a high degree of longevity resisting wear and tear from everyday use. The Flip It chair is available direct via our website at a cost of £99.99 inc. VAT & P+P.